"Check your baggage at the door." In this comedy-drama, a large family comes together when their patriarch dies, and their reunion uncovers some unexpected twists in their family relationships. The film is based on a play written by prolific producer Tyler Perry. A spinoff TV series aired on TBS from 2009 to 2011. 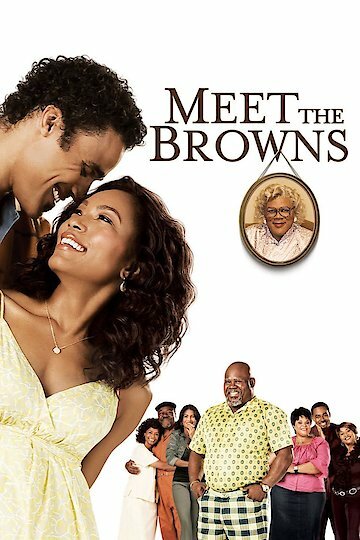 Meet the Browns is currently available to watch and stream, buy on demand at Amazon, Vudu online.